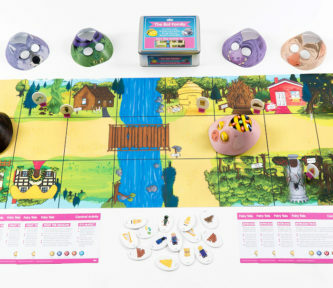 This Busy Street Activity Tin contains accessories to use with the Bee-Bot Busy Street mat. Included in the tin are 6 character jackets to transform Bee-Bot into a range of Busy Street character, 10 cards with cross-curricular activity ideas and 20 prop pieces to place on the mat. Quick and easy to get started with when planing time is limited.